As I am about to board another flight to the US it only seems fitting that the defining image for today is from the US and marks perhaps not the beginning, but certainly my favourite from my infrared experimentations. The image above was capturedin Shenandoah National Park on the US East Coast about 10 years ago. Infraread photography was for me very much part of a learning experience and a wish to create a series of images with a distinct look different from my other work. The way flora tend to explode in shades of pristine white when hit by sunlight is other worldly and extremely beautiful I think it. It helps transform and challenge perception of what the world around us should really look like. Its most traditional use is landscape and architectural work, but when I came across these gorgeous long stemmed It seemed an obvious way to challenge our natural representation of such a subject. 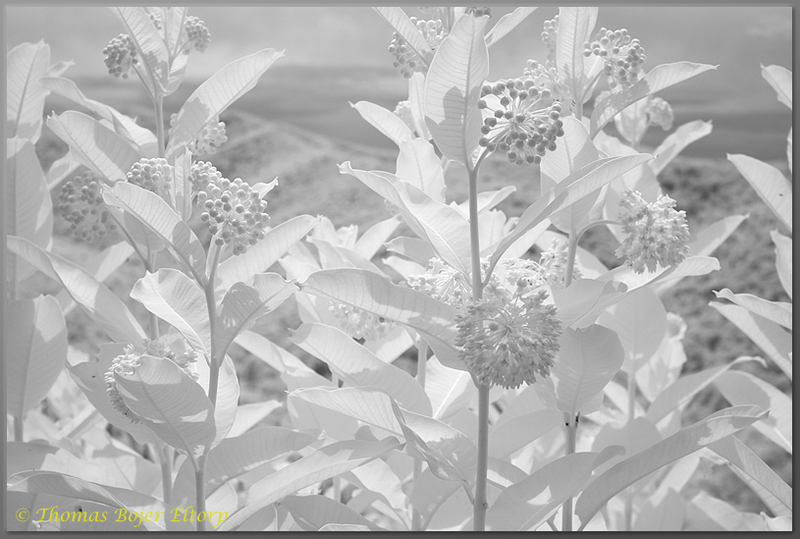 This image with it almost translucent whites and vertical lines is on the of the images from my infrared series of images from Shenandoah National Park I truly value and an image that in retrospect have help shape how I approach all monochromatic work, even 10 years later. Thanks for the comment and visit, glad you liked my blog. I will make sure to give your blog a look.